Construction has officially commenced on the brand new rail line that will carry train services to the heart of one of Victoria’s fastest growing areas. Minister for Public Transport Jacinta Allan joined Member for Yan Yean Danielle Green in Mernda to mark the start of works on the extension of the South Morang line to Mernda. Over the coming weeks, construction crews will establish work areas, remove vegetation and prepare the rail corridor for major construction to ramp up later this year. 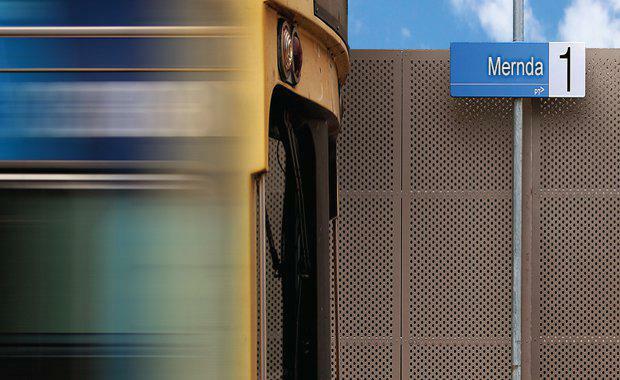 Grimshaw To Design Three New Stations For Mernda Rail Extension]“The community fought for this project and now we are delivering it – to bring frequent, reliable services to the heart of our growing community," Member for Yan Yean Danielle Green said. The $600 million Mernda Rail Extension will build eight kilometres of new, duplicated track and three state-of-the-art stations at Mernda, Hawkstowe and near Marymede Catholic College. The stations are expected to be used by around 8,000 passengers every day when they open in early 2019. The last time a train line was extended by more than two stations was in 1930, when the East Malvern line was extended to Glen Waverley. Minister for Public Transport Jacinta Allan said she thought the project will change people's lives for the better. “The project is fully funded, construction is underway and we’re not wasting a moment getting on with it," she said in a statement. The Victorian Government said the project will create up to 3,000 jobs – 1,200 directly during construction and as many as 1,800 indirectly in local businesses and industries supported by the project. It is also expected to support more than 70 ongoing jobs once trains are up and running. Like every major Labor Government project, the Mernda Rail Extension will also provide employment for young workers and people re-skilling from other industries, with at least 10 per cent of work carried out by trainees, apprentices and engineering cadets. The project includes new walking and cycling paths, better bus connections, and train stabling in Mernda. There will also be extensive bike storage and up to 2,000 new car spaces across the three new stations. The Mernda Rail Extension is being delivered by the Level Crossing Removal Authority, which is also getting rid of 50 of Victoria’s most dangerous and congested level crossings.